The CLASSIC 30 is the flagship model of our newest AUDIO PHYSIC CLASSIC loudspeaker line and is not only the largest, but also the most innovative model in this family. Users of our CLASSIC 30 loudspeaker can make the most of both basic AUDIO PHYSIC technologies from our top-line models and new groundbreaking innovations such as its bass unit, which is integrated into the loudspeaker cabinet and therefore cannot be seen from the outside. These new features enable the CLASSIC 30 to achieve new previously unattainable benchmarks that even put it in a category outside of its price range. Some of these new innovations have already enabled the CLASSIC 30’s siblings, the CLASSIC 10 and CLASSIC 20, to achieve impressive success in specialist publications both in Germany and on an international level. 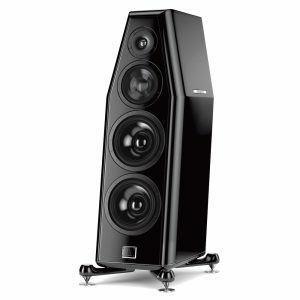 The development of loudspeaker drivers has made continuous progress over the past few decades and as a result, this technology is now achieving performance values that seemed unthinkable just a few years ago. As can be expected, AUDIO PHYSIC also works intensively on developing its moving systems and their mechanical construction, which has in turn led to a clear and extremely positive result: the modern AUDIO PHYSIC HHC drivers. The drivers used in the CLASSIC 30 also benefit from the experience gained from these developments. Nevertheless, it is important to remember that the cleaner a driver functions in its respective frequency ranges, the more other factors that influence the sound produced are able to come to the forefront. It is still often the case that users and listeners underestimate the acoustic influence that a loudspeaker cabinet has on the sound produced. Driver movements not only displace the air in front of the diaphragms, but also the air behind them. The forces created by this movement can cause a cabinet to produce natural vibrations, meaning that parts of the loudspeaker body itself are transformed into an unwanted source of sound. Nipping this problem in the bud was and, indeed, still is the aim of our developers and has already led to the development of an elaborate and extremely stiff cabinet. 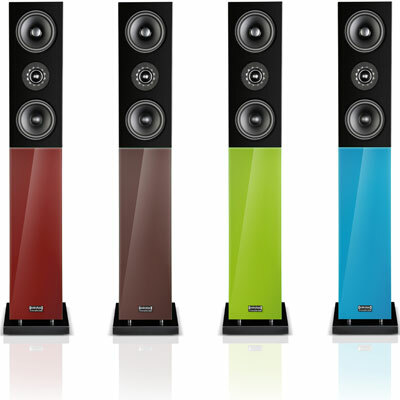 When working on our CLASSIC line, our engineers were able to use a novel cabinet construction to successfully transfer these sound-related abilities in terms of precision and neutrality to more moderate price ranges for the first time. The walls of our CLASSIC loudspeakers are constructed from three layers with extremely different resonant behaviour characteristics. 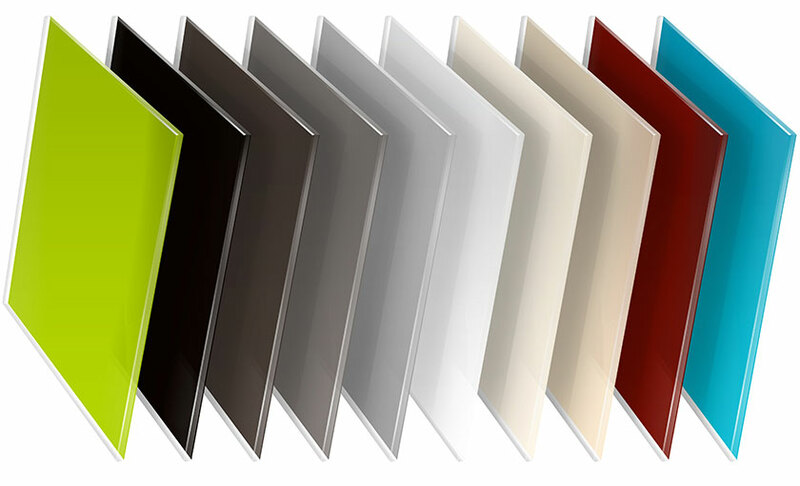 This combination of layers results in an extremely rigid cabinet that is virtually immune to self-resonances, especially in the glass design. The CLASSIC 30’s comparatively large cabinet enables it to benefit from this innovative construction to a particularly large extent. 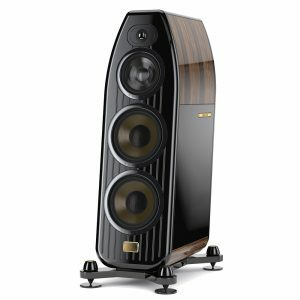 On top of this, the developers of the CLASSIC 30 have also succeeded in incorporating the push-push technology favoured by AUDIO PHYSIC in its loudspeaker woofers into this price range for the first time ever. The AUDIO PHYSIC push-push technology involves integrating a bass unit containing two extremely powerful 7″ woofers that are mounted opposite each other in slightly offset positions into the base of the cabinet. 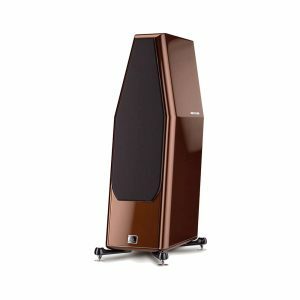 These offset positions mean that the energy that these woofers release into the cabinet virtually cancel each other out. The true highlight of the CLASSIC 30 is the fact that its two woofers are no longer located in the side walls of the loudspeaker, but are instead mounted in their own chamber inside the cabinet. This leads to a number of optical and technical advantages, for example the fact that the side walls of the CLASSIC 30 are able to form an optically homogenous unit with an uninterrupted line. The clever symmetrically offset push-push configuration of the woofers in their own separate chamber also leads to a further reduction in the influence of vibrations on the surrounding cabinet. When combined with the bass reflex system integrated into the cabinet design, this advantage facilitates an impressively precise and powerful bass reproduction. 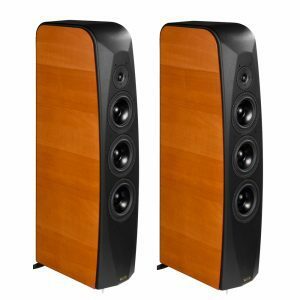 The midrange drivers and tweeter of the CLASSIC 30 are therefore provided with the ideal working conditions, even in the case of high volumes, at which the forces acting on the cabinet become increasingly large. A look at the transparent diagram of the CLASSIC 30 shows its complex construction with the configuration of the woofers close to the bottom plate and the complex structural elements that have been added to the inside of the cabinet but have barely no limiting influence on the loudspeaker’s inner volume. The diagram also clearly shows that the woofer/midrange driver, midrange driver and tweeter all work in their own airtight chambers that are sealed off from the rest of the cabinet. The use of these separate chambers excludes the possibility of disturbing interactions with the high-energy low frequencies using the volume of air contained inside the loudspeaker. All of the drivers boast generously dimensioned magnets and modern architecture. The phase plug of the CLASSIC 30’s midrange driver is fixed to the magnet system as part of a complex design that helps to minimise compression effects in this particularly sensitive frequency range. The design also helps to improve the dissipation of heat from the moving system, thus reducing distortions at high volumes. The loudspeaker additionally features a 1.2″ soft dome that deals with high frequencies. This dome is surrounded by a star-shaped acoustic panel that promotes consistent radiation characteristics. The front-facing drivers of the CLASSIC 30 are mounted flush with an ‘open’ solid front panel. 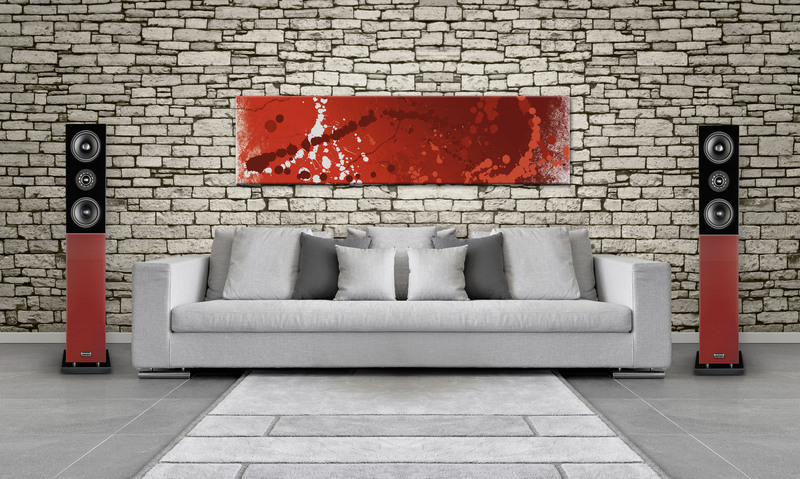 Users can choose to simply replace this ‘open’ panel with a panel sporting a fabric covering to suit their own personal tastes. 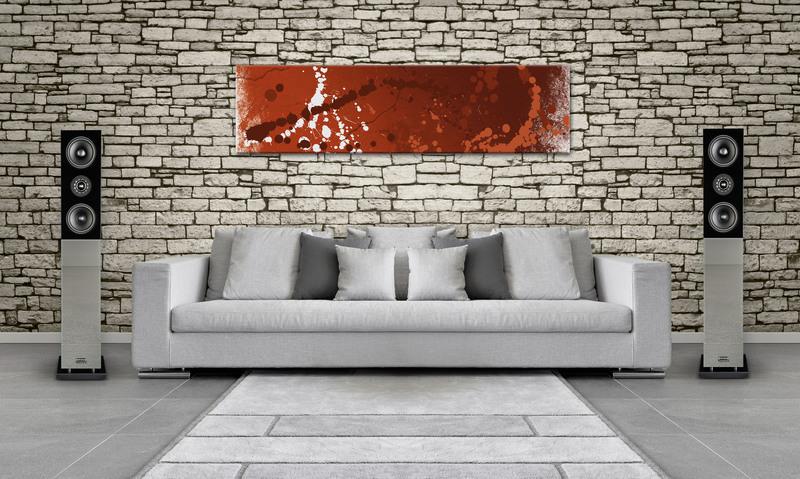 Both panel designs are supplied with the loudspeaker. 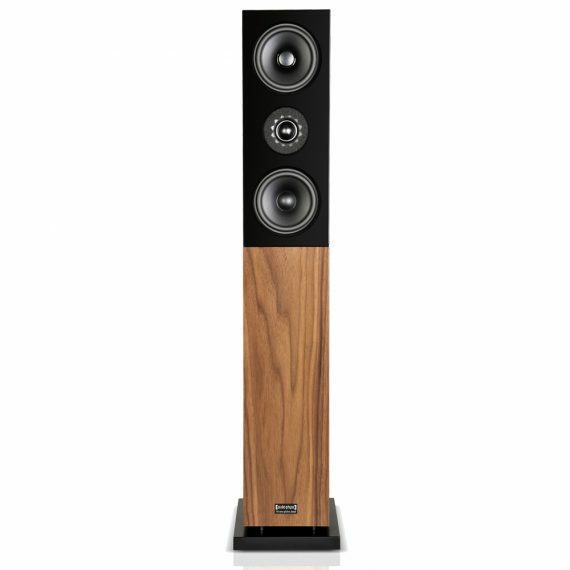 All of the loudspeakers in the CLASSIC line work in perfect harmony where their tonal qualities are concerned. 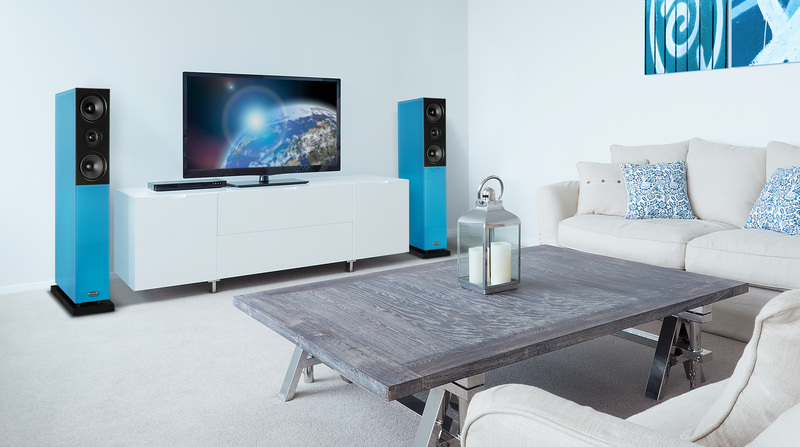 The CLASSIC 30 can therefore easily be combined with a CLASSIC Center loudspeaker, the LUNA subwoofer and, for example, two CLASSIC On-Wall or CLASSIC compact units to form a high-performance surround-sound set. Another factor that is still highly underestimated in the loudspeaker world is the influence that a loudspeaker’s connection terminal has on its sound reproduction. Given that micro-vibrations and impact sound play an essential role where this influence is concerned, AUDIO PHYSIC has decided to fit its CLASSIC 30 with top-quality nextgenTM connectors from WBT as standard. These connectors boast an innovative conductor feed that leads to a noticeable reduction in sound influences conditioned by micro-vibrations. At the end of the day, it is the small details that ultimately enable loudspeakers to provide a high-quality listening experience on a long-term basis. Tending to these details is a key priority at AUDIO PHYSIC in line with the company’s motto of “no loss of fine detail”. This recording of Ibsen’s literary work Peer Gynt is both a musical and acoustic masterpiece. The sounds of the orchestra merge together to form one single entity and the top soprano Elly Ameling pushes the loudspeaker’s naturalness of tones and timbres and dynamic abilities to the very limit in the midrange. An equally impressive and challenging piece is “In the Hall of the Mountain King”, which quickly demonstrates the actual performance quality of both loudspeakers and controlling amplifiers in terms of bass depth and richness. This album is certainly a true highlight for every record collection.